Users who become addicted to kratom should seek substance abuse treatment to safely detox and avoid the health effects of long-term use. Someone who is addicted to kratom has likely developed physiological dependence to the drug. These people may experience strong cravings for the drug and may compulsively use it despite negative consequences. For example, users may feel that they need the drug to be more productive at work even though it may be affecting their health. Cold symptoms, such as a runny nose. For some, the symptoms of kratom withdrawal can be overwhelmingly unpleasant. Severe withdrawal often compels people to relapse. An addiction treatment program can guide people through difficult withdrawal and help to ensure long-term recovery. Increased tolerance to the drug (needing more to achieve the desired effect). Using kratom to relieve withdrawal symptoms. Loss of control over kratom use. Focusing on acquiring kratom, using it, and recovering from its effects. Abandoning hobbies and other activities to use kratom. Have trouble at school or work. Begin to hang out with a new group of friends. If you or someone you know exhibits the symptoms listed above, call our helpline at 1-888-319-2606 Who Answers? to learn more about kratom addiction treatment. In addition, certain forms of substance abuse treatment and therapy have helped many different types of drug users. For example, cognitive behavioral therapy trains users how to recognize triggers that lead to drug use and teaches alternate responses to those triggers. Inpatient or residential programs offer a focused setting for recovery. Care may consist of group and individual counseling, medications, aftercare planning, and other recovery activities in a community of sober peers. Many programs offer a structured period of detox at the start of treatment. Outpatient care involves scheduled visits to a treatment facility that can range from daily to periodically. Treatment, while less intense than inpatient, includes counseling in individual and group settings and may include medications. Partial hospitalization or day treatment programs combine the benefits of intensive inpatient care with outpatient care’s flexibility. Services include group therapy, medical care, and medication management. 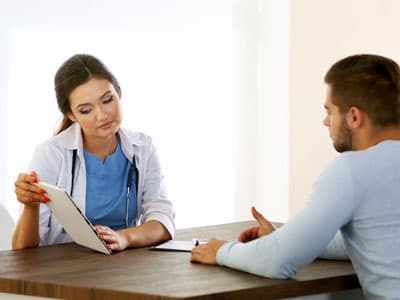 Dual diagnosis care, whether in an inpatient or outpatient care setting, focuses on the treatment of both mental health and substance abuse issues. Some people who become addicted to kratom may also be struggling with anxiety, depression, trauma, or other psychological problems. 12-step and non-12-step programs rely on peer-guided and self-managed recovery methods. Narcotics Anonymous and SMART Recovery are examples. Often, members partner with a sponsor who helps them complete a structured, step-by-step program. It can be helpful to ask the following questions while seeking the treatment setting that’s right for you. Where is the facility or program located? Is the facility properly licensed and accredited? What kind of feedback is available on the program and services offered? What is the program’s philosophy (ex., 12-step, evidence-based)? Cost varies tremendously and depends on what kind of kratom recovery program it is, the facility’s location, and special amenities. Put the cost or part of the cost on a credit card. Borrow the money from a lender, friends, or family. Ask for help from a crowdfunding site such as GoFundMe.com. Be eligible for some type of government or private assistance program. Several cases of psychosis have been reported in long-term users. Kratom use results in a number of side effects, both short- and long-term. Chronic loss of appetite and resulting weight loss. If you or someone you care about is ready to break the cycle of kratom addiction, help is only a phone call away. Call one of treatment support specialists at 1-888-319-2606 Who Answers? . They can answer questions you may have about treatment and finding the right program for you.
. National Institute on Drug Abuse (2016). DrugFacts-Kratom.
. U.S. Drug Enforcement Administration (2015). Drugs of Abuse.
. U.S. Drug Enforcement Administration (2013). Kratom.
. Indian Health Services. Warning Signs for Drug Use and Addiction.
. Centers for Disease Control and Prevention (2016). Notes from the Field: Kratom (Mitragyna speciosa) Exposures Reported to Poison Control Centers-United States, 2010-2015.
. National Institute on Drug Abuse. (2007). The Neurobiology of Drug Addiction.